Each home is built with diverse components, and even a top-of-the-line home will eventually need maintenance. 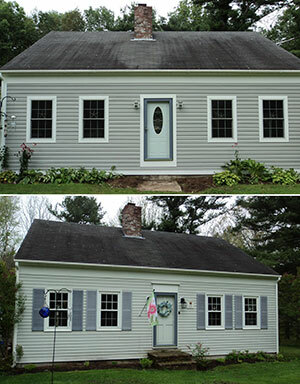 The components used to build a home also wear differently, with some aging more quickly than others. Every house is unique, so why would its repairs be any different? That’s where we come in! We have extensive experience with finding and fixing many common home problems. New Leaf Construction specializes in helping people take care of their homes. We will help with almost any project dealing with your house from small repairs to complete renovations. Every project completed by New Leaf Construction is guaranteed and fully insured through the company’s core values of integrity, service, and excellence. We pride ourselves in strong communication, proactive problem-solving and professionalism. And Many More Home Improvements! New Leaf Construction is here to take care of its customer’s needs. We feel a home should fit its family – and we help it do just that. Please contact us today for all of your home care needs. Servicing homes in Camden, Rockport, Lincolnville, Hope, Rockland, Thomaston, Warren, Appleton, Union, and Waldoboro.